Getting vexed to wear big and dark virtual reality goggles and 3DTV goggles ? Don't worry they are going to be rendered obsolete by contact lens built-in with LED arrays that can display on top of your retinas. 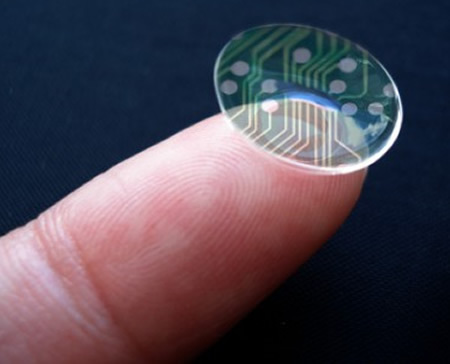 Researchers at the University of Washington have been working on extremely tiny and semi-transparent LEDs designed to be integrated into contact lenses. So far, they’ve managed to create red pixels and blue pixels, and when they can figure out green ones, they’ll be able to make full color displays. 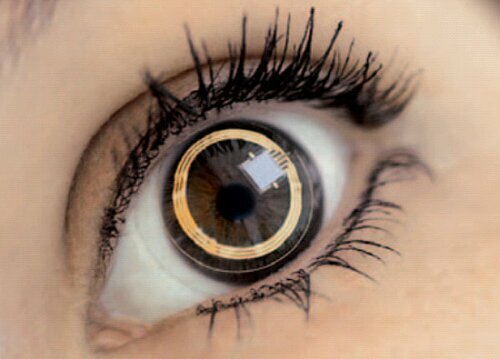 Despite being millimeters from your retinas, the images created by the lenses will be in perfect focus, and when the display is turned off, everything will be transparent. Since the lenses are inside your eyelids, though, you can’t un-see anything that they decide to project, which is something that you’ll have to consider when you’re watching something especially scary or gross on them. Power will come from a beltpack that transmits electricity wireless to a resonating antenna in the lens itself, and data will be transmitted the same way so that you don’t have to plug HDMI cables into your eye sockets. 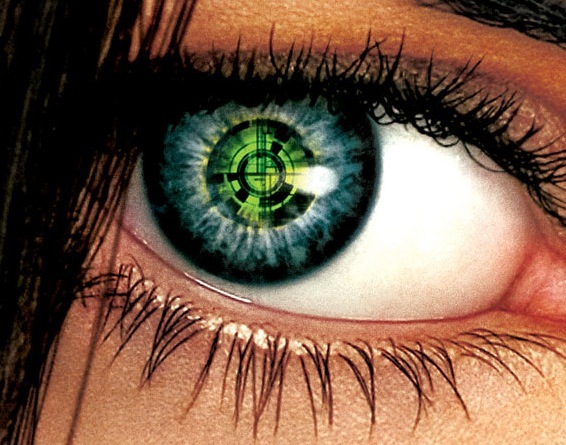 In the meantime, we’ve already got eyeball-mounted wireless sensors for detecting things like blood glucose levels, so it’s really just a matter of time before LEDs and their associated electronics get small enough and cheap enough that we can all afford to be enjoying visual overlays of stupid YouTube videos 24/7.